TWO Queensland filmmakers have proven locally made TV shows can travel around the world. Hot on the heels of the success of their medical drama Harrow, being distributed internationally by Disney, Hoodlum Entertainment's Tracey Robertson and Nathan Mayfield are back with Tidelands. The supernatural crime drama, which was filmed in Brisbane and the Gold Coast earlier this year, is Netflix's first original Australian production and will get exposure to the streaming giant's more than 100 million global subscribers. "The scale is bigger. The storytelling we're allowed to do on this show is brand new for us," Mayfield said. "You need to have a healthy, robust budget if you want to play in this territory of supernatural." 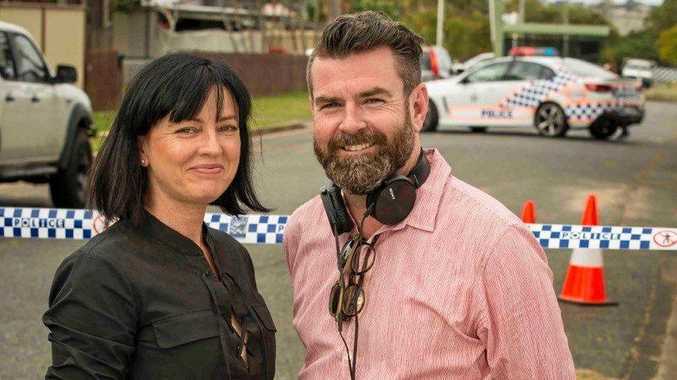 Brisbane-based Mayfield and Robertson once again teamed up with writer Stephen M Irwin, who penned Harrow as well as their telemovie Australia Day and their breakthrough hit Secrets & Lies, which was turned into an American series by ABC Studios. 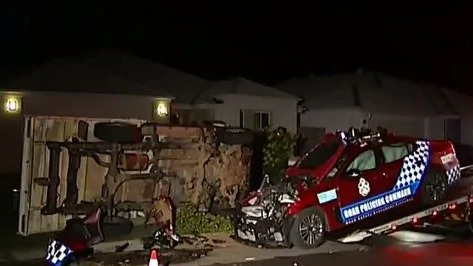 "Tracey, (writer) Leigh McGrath, Stephen and myself were working through ideas about four years ago and the idea of sirens came into play," said Mayfield, who grew up in Hervey Bay. "We all had some sort of affection for that as a supernatural subject that was out there and it wasn't really a genre that had been explored in the adult territory. "We had a relationship with the creative executive at Netflix and they were tossing up what their first move would be in this territory. A bit over a year ago the stars aligned and we pitched Tidelands to them. In a matter of days they came back... after everything was inked I asked what was it about our show that stood out and they said it was big, it was bold and it didn't feel like it was something that was just tailored to what commissioners expected of an Australian show." The 10-part series is set in the fictional fishing village of Orphelin Bay, which is inhabited by half siren/half humans known as Tidelanders. It features an international cast including Spanish-born, Australian-based actor Elsa Pataky and Brazilian heartthrob Marco Pigossi starring opposite Aussie actors Charlotte Best, Dustin Clare, Aaron Jakubenko, Madeleine Madden and Peter O'Brien. "They're all speaking in a variety of different accents," Mayfield said. "It wasn't really a question for Netflix about that. There was never a moment where they said 'We have to do American accents'. Netflix has demonstrated to the world that you don't have to (do that) anymore, unlike our experience with Secrets and Lies, which was about remaking it for American audiences. "I hope Hoodlum has demonstrated it doesn't matter anymore where you're based." Tidelands will have its world premiere in Brisbane tonight. The series will be available to stream on Netflix from Friday.